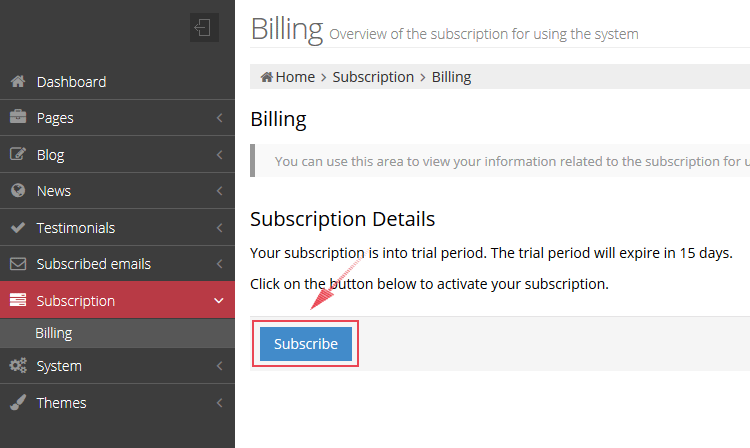 You can make your subscription through your admin interface. 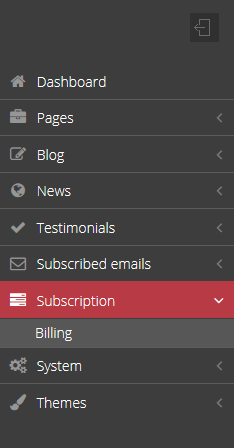 On the left admin menu, there is a section named “Subscription”. Click on the “Billing” link to open your “Billing page”. 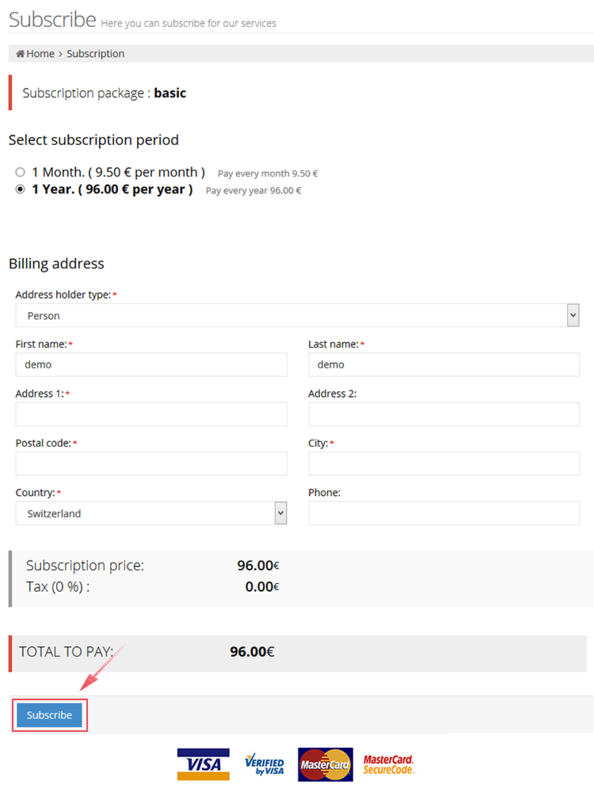 Here you can start the process of subscribing to the service. The process starts when clicking on the “Subscribe” button. 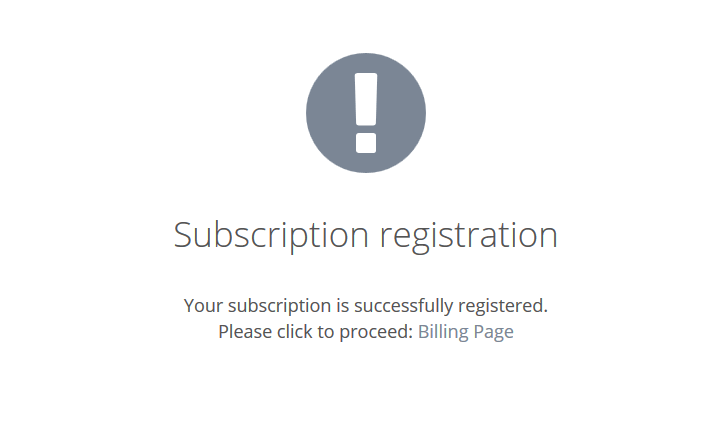 After you click this button, the page where you can choose your subscription package will open. 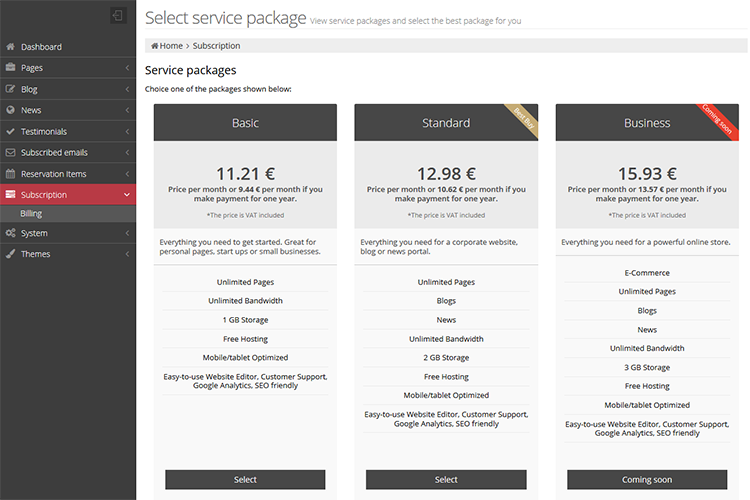 On this page you can choose the package that you want to subscribe for. Click on the “Select” button of the chosen package and the page for choosing your billing period and entering your billing data will be opened. This is the final step for making your subscription. After filling the required data and clicking on the “Subscribe” button, you will be subscribed for the Webstrian services. The success page will be shown to confirm your purchase.